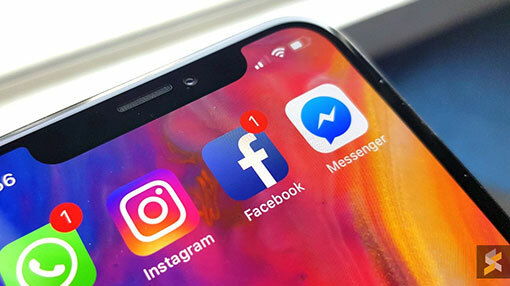 Facebook, Instagram and WhatsApp users on Sunday (Apr 14) experienced difficulties accessing the social network sites and messaging service. According to the Down Detector website, Facebook began experiencing technical issues at about 6.30am Eastern Time (4.00pm Sri Lankan time) with users affected worldwide. Instagram and WhatsApp, which are both owned by Facebook, also faced accessibility issues, leaving some users unable to load their news feed or send messages. With the service unavailable, people have been taking to Twitter - to talk about Facebook being down. Facebook has yet to comment. Facebook had more than 2.3 billion monthly active users across the world as of December 2018. The company owns Instagram, WhatsApp and Facebook Messenger. According to the site, there have been thousands of reports regarding the outage, for all three platforms. The last major outage was on 14 March 2019 where Facebook, Instagram, WhatsApp and Oculus platforms are down worldwide. Facebook had to turn to Twitter to inform users of the downtime.